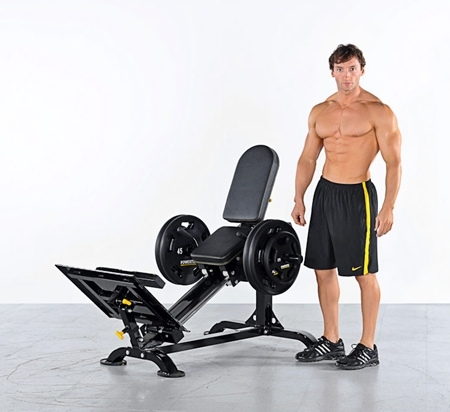 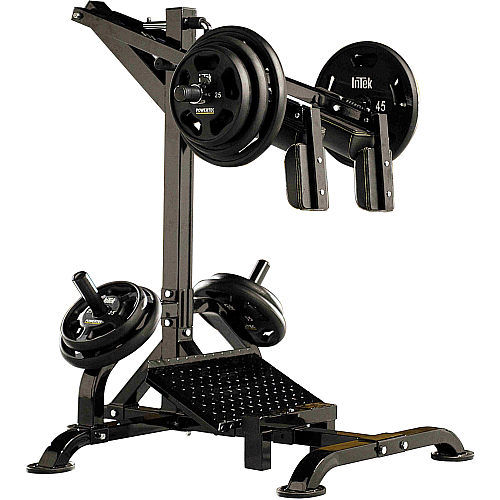 This Leg Press/Hack Squat Combo has adjustable platform for proper positioning and a dual purpose back pad attaches for both hack squat and leg press. 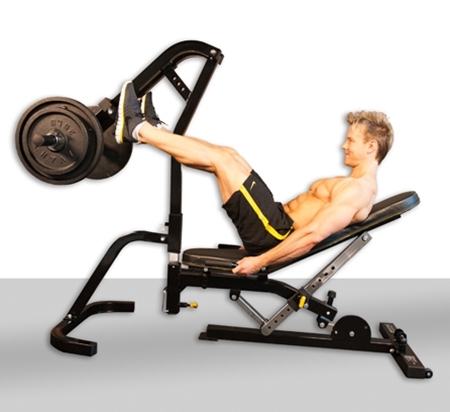 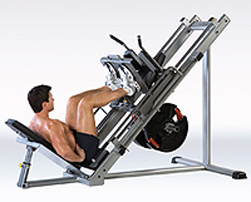 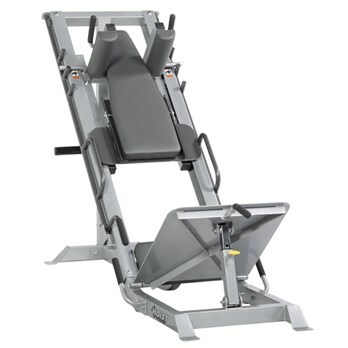 The Leg Press & Hack Squat machine isolates the lower body for more powerful quads, glutes and calves. 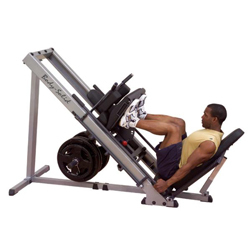 A no-nonsense leg press machine for gyms and health clubs that can stand up to heavy use by strong, tough users. 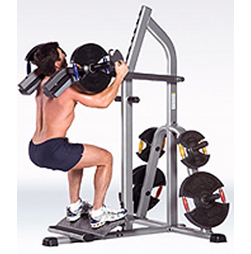 The Leg Press/Hack Squat machine offers smooth and precise movement with a 1-inch self-aligning linear bearing carriage system.